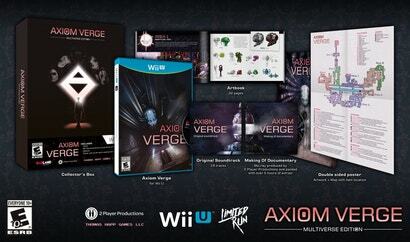 Axiom Verge, the celebrated Metroidvania from developer Tom Happ, is getting a physical release on Wii U this year. That’s the good news. The bad news is that the game’s distributor Limited Run Games and its business manager Dan Adelman have said that its publisher BadLand Games still owes them around a quarter million US dollars. In announcing the Wii U physical version of the game, which it will put up for sale later this month, Limited Run said that BadLand owes it $US78,000 ($110,003) for physical copies of the game that it never delivered. After that, Adelman said that BadLand has not paid Tom Happ a sum that it believes to be around $US200,000 ($282,060) - including money that was intended to go into a special fund to help pay for medical treatments for Happ’s young child. “Badland has literally stolen money from a disabled toddler,” Adelman said in a series of tweets earlier today. According to Adelman, he and Happ had been approached by a number of companies interested in trying to produce a physical version of Axiom Verge for various platforms. They eventually decided to go with BadLand because of the unique terms of the deal that was being offered. “In addition to matching what other publishers were offering in terms of rev share, they said they’d contribute 75% of their cut to a trust fund set up for Alastair Happ’s ongoing medical expenses,” Adelman wrote on Twitter. Alastair Happ suffers from a rare neurological disorder called Kernicterus, most treatments for which are experimental and not covered by insurance. Years later, after physical versions of the game came to PlayStation 4, PS Vita, and Switch, Adelman says that money is still missing. Neither Adelman, Happ, nor Badland were immediately available to respond to a request for comment. According to Adelman’s tweets, BadLand, which is based in Spain, was originally set to publish physical versions the game in both Europe and North America. The company later came back and asked Happ to front the money required to manufacture the copies for North America, which Adelman said was a signal Adelman that something wasn’t right. Happ and Adelman organised the distribution of the physical copies in North America, with retailers paying Happ his share directly. But Adelman said that Happ has never been paid his share for the versions sold in Europe. Meanwhile, a Wii U version to be produced by BadLand never materialised at all. As outlined in an extensive report by GamesIndustry.biz, the boutique distributor Limited Run Games ordered 6,000 copies of the Wii U edition of Axiom Verge, which included a soundtrack, artbook, and other extras, for which it paid BadLand $US78,000 ($110,003) in early 2017. It planned to sell them through its website that fall, but the copies never showed up. In early 2018, Limited Run Games filed a lawsuit seeking repayment. It won the lawsuit, but still has not received payment. Despite BadLand temporarily closing in 2018 as a result of money issues, Josh Fairhurst, Limited Run’s CEO, told GamesIndustry.biz that he believes the company has the money to pay. Fairhurst said on Twitter that now that Limited Run has sued BadLand and won, it cannot make such a deal. “Accepting a payment plan would invalidate our lawsuit and give BadLand a chance to not pay,” he wrote. “It’s frustrating to see @BadLand_Publish tweet about new games they’re releasing, no doubt funded with the money they owe LRG and Tom Happ,” Adelman wrote. In short, he says he never specifically refused to pay the debt (he just didn't pay the debt). Also, he has a sick kid too which cancels out Happ's sick kid. He's told his lawyers to sue anyone who defames him or Badland. Oh wow, what a bloody turnip. 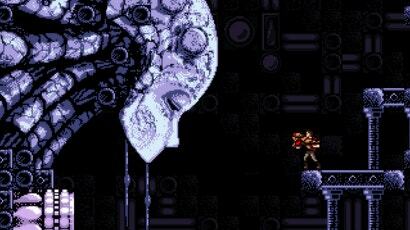 I would have bought Axiom Verge a long time ago on Xbox One, except, you know, I live in Australia, so I can't. Been hanging out for this for ages. Too bad Limited Run only do NTSC versions. Is NTSC still a thing? Thought that died years ago, but can honestly say I dont actually know. Apparently it still is for digital signals which surprised me, but either way the Wii U still ran analogue and the games aren't cross-compatible on different region units.